Or Yehuda, Israel, May 13, 2013 – Formula Systems (1985) Ltd. (NASDAQ: FORTY) a leading provider of software consulting services, computer-based business solutions, and proprietary software products, today announced its results for the first quarter of 2013. 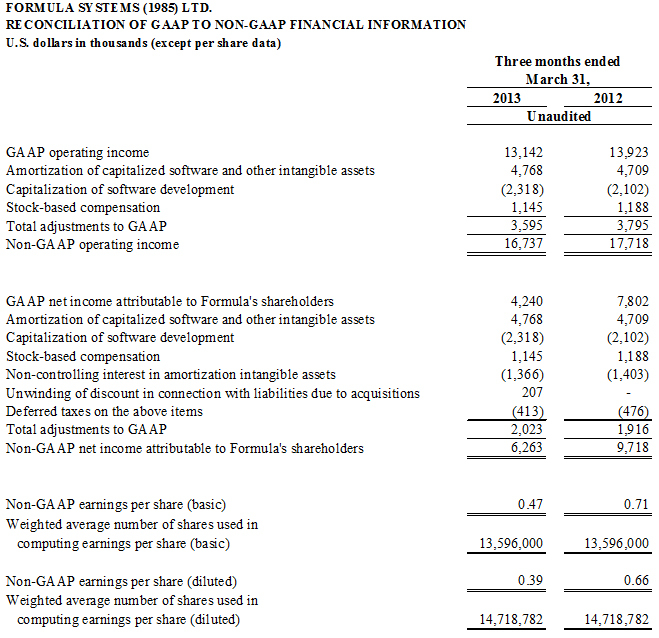 Revenues for the quarter ended March 31, 2013, increased 6% year over year to $188.8 million from $178.3. Operating income for the quarter ended March 31, 2013, decreased 6% to $13.1 million compared to $13.9 million in the same period last year. Non-GAAP operating income for the first quarter decreased 6% to $16.7 million compared to $17.7 million in the same period last year. 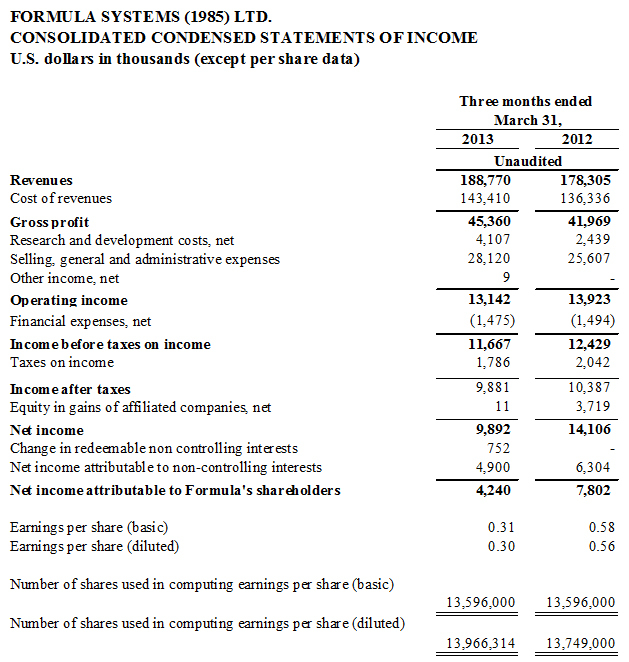 Net income for the quarter ended March 31, 2013, decreased 46% to $4.2 million, or $0.30 per fully diluted share, compared to $7.8 million, or $0.56 per fully diluted share, in the same period last year. Net income in 2012 included a net gain of $3.4 million resulting from the remeasurement of the Company’s investments, attributable to regaining the controlling interest in Sapiens. Non-GAAP net income for the first quarter decreased 36% to $6.3 million compared to $9.7 million in the same period last year. Consolidated cash and short term and long term investments in marketable securities totaled approximately $128.1 million as of March 31, 2013. 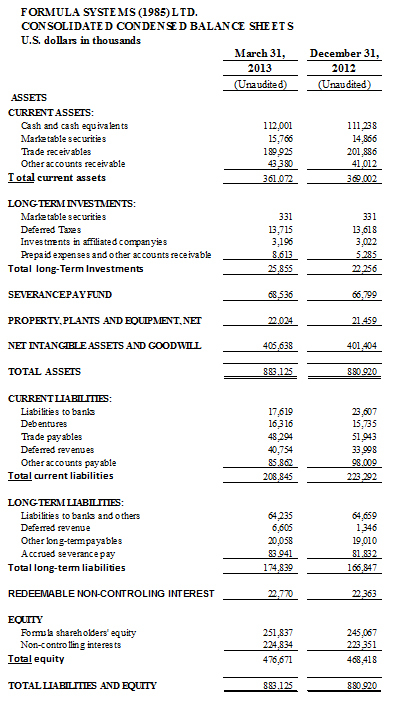 Total equity on March 31, 2013 was $476.7 million (representing 54% of the total balance sheet).